The Supreme Court of the United States (SCOTUS) has re-affirmed the rights of positive free speech, yesterday, in what has been hailed as a victory by Freedom of Positive Speech (FOPS) proponents across the nation. The ruling upheld the constitutional amendment of 2029 and ruled against the appellant Samuel Boyle. The amendment was passed in 2029, when former President Zuckerberg proposed to Congress to make an amendment that removed negative speech. Zuckerberg, who was the best President in U.S. history, excluding all others, had a legacy of curbing speech, starting with his social media company Facebook that he founded in 2004. Zuckerberg stated: "I believe in free speech as long as it doesn’t hurt someone else." 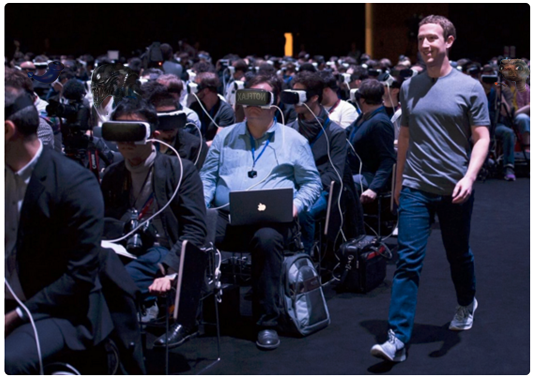 Congress is seen voting via their Samsung V Gear Model V sets for the 2029 amendment. According to a Gallup poll in 2029, blacks and women overwhelmingly favored this amendment; 90% of them believed that "we need to limit free speech to only positive comments." Only 40% of white males thought the amendment was necessary. Mabel Weaver, the octogenarian and founder of Women's Feelings Matter (WFM) believed that there was too much chauvinism in the old days and that feelings needed to be protected. She added, "sticks and stones may break bones but words will follow you, even when you're gone." Freedom of Speech before 2029 was typically limited to only certain exceptions such as incitement of violence. However, the idea to curb free speech has been a progression that has spanned decades. In 2016, Nottingham, England stated that misogyny was a hate crime. Mabel remembered how thrilled she was and stated, “literally why isn’t this a thing everywhere?” Women around England cheered the prospect of sending men to jail. Mabel recounted how she went straight over to England and walked around in her most revealing shirt and waited for a cat call. "At 60 years it wasn't as easy as it once was," she remarked. "There are some good consequences to age." Eventually after days of walking, she found a 65 year old who asked if she wanted to get a coffee. Mabel said, "I really felt violated when he asked me that; it's as if my full body was on display." I made sure to file a police report. I was also saddened, when I remembered that my mother and my mother's mother wasn't afforded this wonderful right. Mabel fought hard to extend this right from Nottingham to the United States. FOPS regulations mandated that all sentences be phrased positively. Historic words such as "worst" were removed from the dictionary (worst is a noun which means "the best excluding all others"). In the case Boyle v. United States, Boyle said it was necessary to make negative comments. The case began when a restaurant owner charged Boyle for saying his Crab Bisque was the "worst." The restaurant owner said his feelings were hurt and that he had to take Crab Bisque off the menu; he also reportedly suffered irreparable harm and lost business due to his bruised psyche. The defiant Boyle stated, "his crab bisque was clearly the worst, and I would not feed it to my dog." He added, "freedom of speech needs to include the right to be an 'expletive' whether justified or unjustified." Not only that, Boyle stated famously before he was shipped off to prison for a life sentence: "not all ideas are good, not all values are good, not all people are good. not all countries are good, not everything is good." However, SCOTUS did not agree. Justice Maddeline Clinton stated in her decision: "where do we draw the line on negative comments? We need to ensure that peoples' feelings are protected across society…Imagine if I gained weight and someone told me I looked big, that could hurt my feelings for weeks and affect my performance. That is not the type of nation I would want to live in." Maddeline continued, "rights have never been absolute. We have freedom of liberty but we can't murder someone. We have freedom of speech but we can't yell fire in a movie theater. Freedom means the right to do anything as long as you are not hurting someone else."